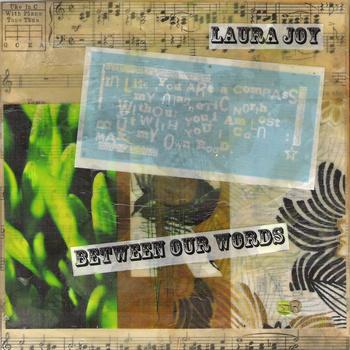 The latest EP from Chicago songstress Laura Joy, Between Our Words, is a beautiful blend of acoustic and folk music that could draw comparisons to singer Jewel, with her unique and unpredictable vocal range. Between Our Words, opens with “Takes A While” a song that brings Laura’s main instrument, acoustic guitar, to life as she gently strums while being backed by a bouncy drum beat. Well written and memorable, “Takes A While” is a great choice for an opening track, as it introduces potential fans to Laura’s skill as a musician, in addition to her wonderful songwriting. The EP’s title track is next, and in the introduction we are hit with a gleaming acoustic guitar riff and Laura’s vibrant vocals. This song is a slightly slower tune, and it really showcases her voice along with vibrant instrumentation. Perfect to add to Spotify’s coffee shop playlist, “Between Our Words” tells a story of a relationship that feels uncertain, and through Laura’s simple, but descriptive lyrics, we feel like we’ve been in the same place as well. Laura Joy closes out her latest effort with a track called “Phoenix” that sounds like it was written before its time, as we hear bits and pieces of songwriters such as Carol King and Joni Mitchell. The tune is beautifully written with Joy overdubbing her vocals in the chorus to make it sound like you have two people singing, making the song sound full and rich. While it would be great to hear Laura include a song with just an acoustic guitar, having a band back her up really suits her, and we hope that a live band is a staple of her live performances. While Laura Joy is currently an unknown singer, she won’t be under the radar for too long, as Between Our Words, deserves to be heard beyond Chicago.